You can search for all of your favorite songs and artists by using our website. Our search engine does not allow you to mis-spell a word, which can lead to problems finding the song that you want. (Who can spell Engelbert Humperdinck correctly?) However the search engine does not require the entire name or title to be spelled out, so you could type in "Hump" in the artist row and avoid the problem of having to spell the name correctly. Also all of the song titles and artists are listed on this site the way that they are shown according to Billboard Magazine. For instance, the song entitled �Son of a preacher man�, by Dusty Springfield, is going to be shown on our site as �Son-Of-A Preacher Man�, by Springfield, Dusty. You will not find this song on our website without typing in the dashes. So using less information is often better. Remember you do not need to type in the complete name or artist to view a result; instead try typing in only the word �Preacher� under Title and �Springfield� under Artist and this should result in showing only the song you are looking for. Also, artists are listed on our site last name first, comma, space, and then first name. Groups, such as �The Beatles� will be listed as �Beatles, The�. After using these helpful tips, if you are still unable to find the songs or artists you are looking for, give us a call and we�ll try searching for you. Also note that the number of successful returns per page defaults at a maximum of ten. This can be adjusted simply by typing in the number of records returned into the small box next to "Records per page" on the results.asp page. 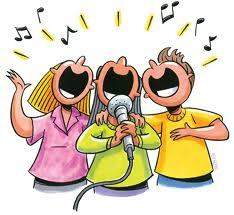 Call toll free at (800) KARAOKE (527-2653) for any further assistance.